What if the princess did not marry Prince Charming but instead went on to be an astronaut or an activist? What if the jealous step sisters were supportive and kind? And what if the queen was the one really in charge of the kingdom? 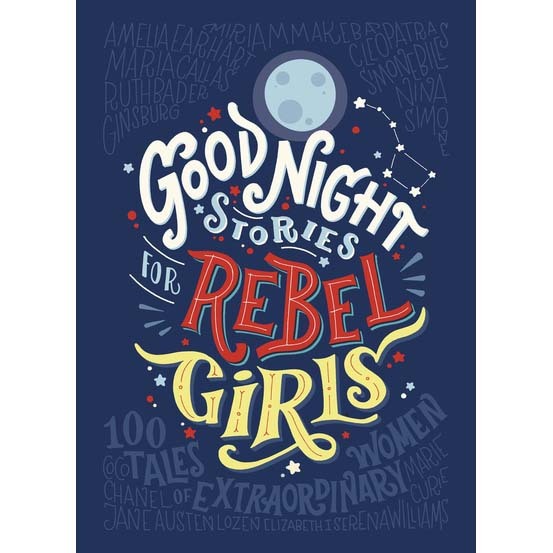 Good Night Stories for Rebel Girls introduces us to one hundred remarkable women and their extraordinary lives. From Marie Curie to Malala, Ada Lovelace to Zaha Hadid, this book brings together the stories of scientists, artists, politicians, pirates and spies. Each double-page spread contains a mini-biography written in the style of a modern fairy tale and a full-page portrait capturing the spirit of each heroine, by one of the sixty female artists from across the globe who were commissioned to illustrate the book. Powerful, moving and very necessary, Good Night Stories for Rebel Girl will inspire and delight readers of all ages.